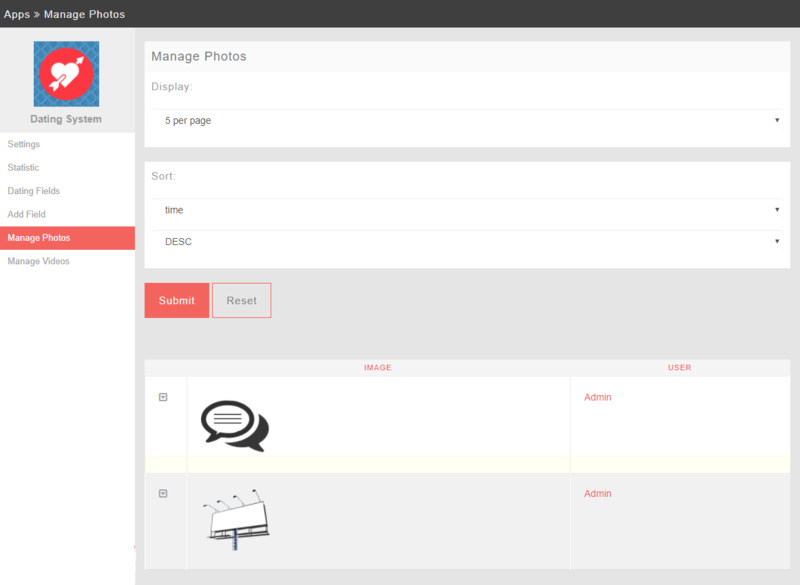 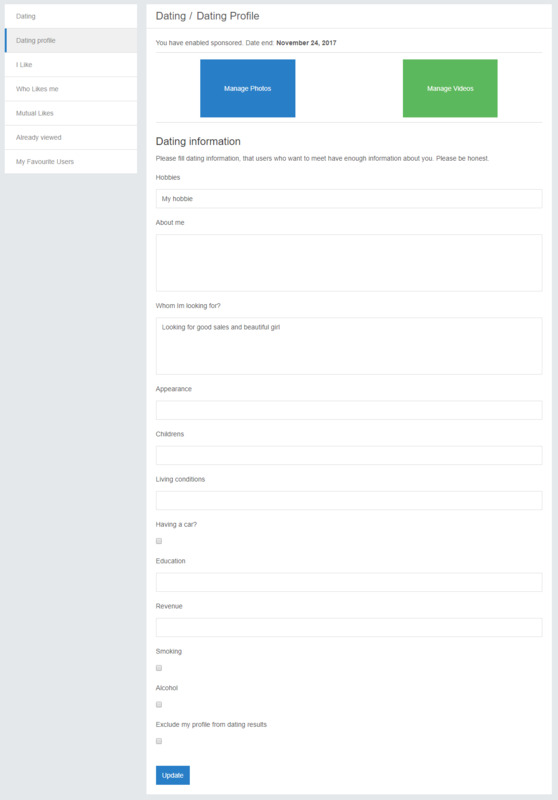 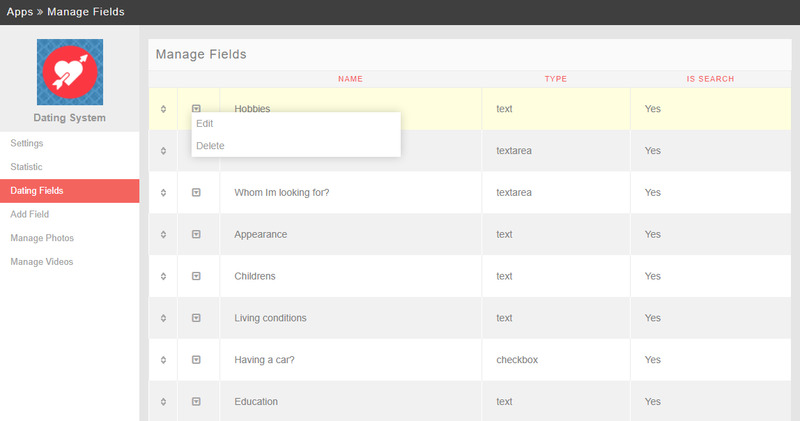 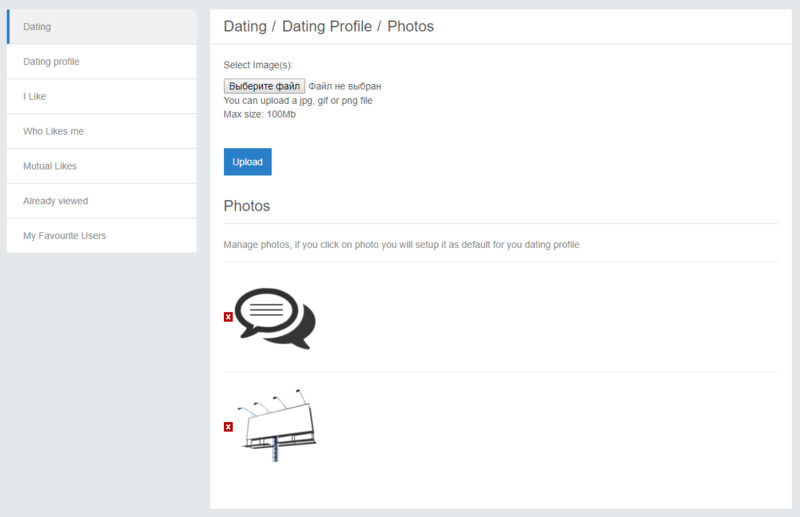 Dating System 4.6 - plugin for PhpFox. 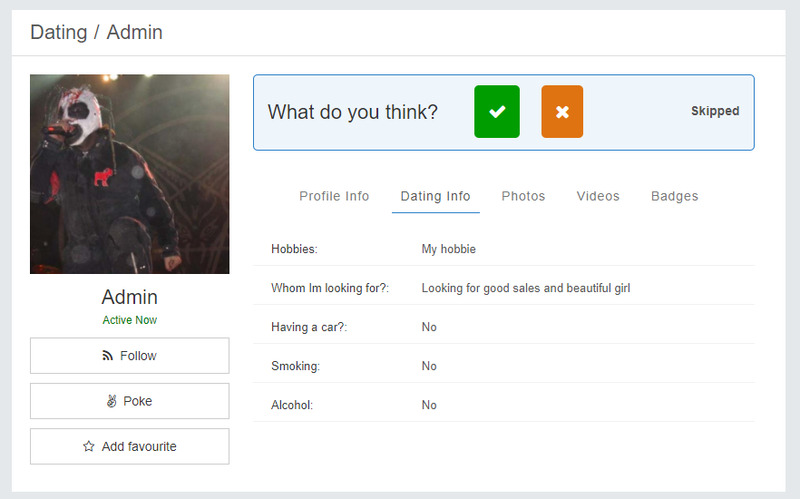 Looking to turn your PHPFox site into a full dating website (similar concept to Tinder)? 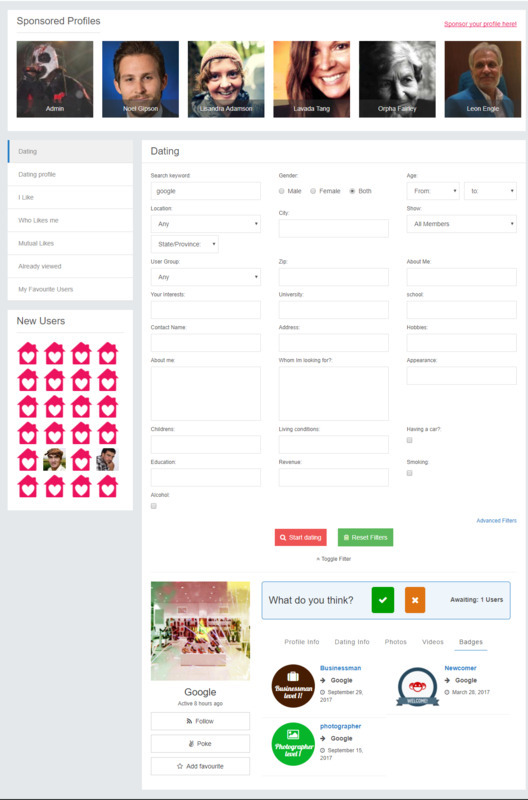 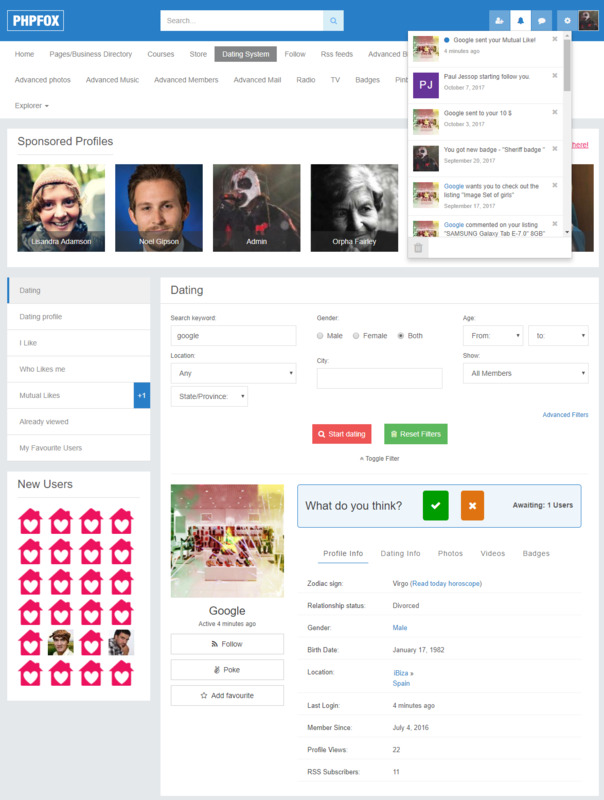 Whether it’s your whole site converted to a dating system or simply a side feature to enhance your social network, this app is the perfect solution for sparking relationships amongst your users. 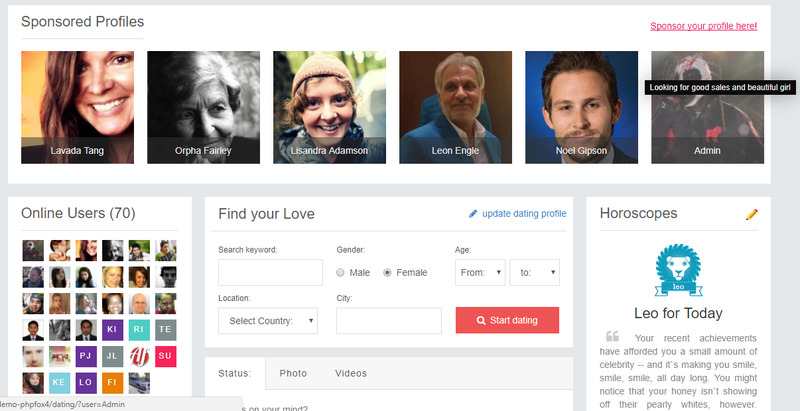 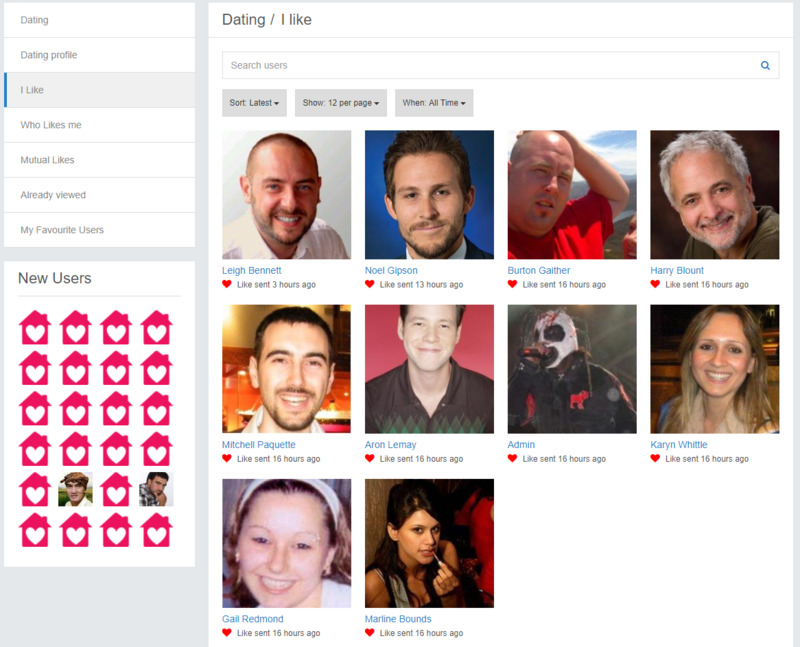 The app features great responsive design and many custom features like (Like/Skip, Dating fields, Dating photos and videos) all of which will help you get success from your dating niche. 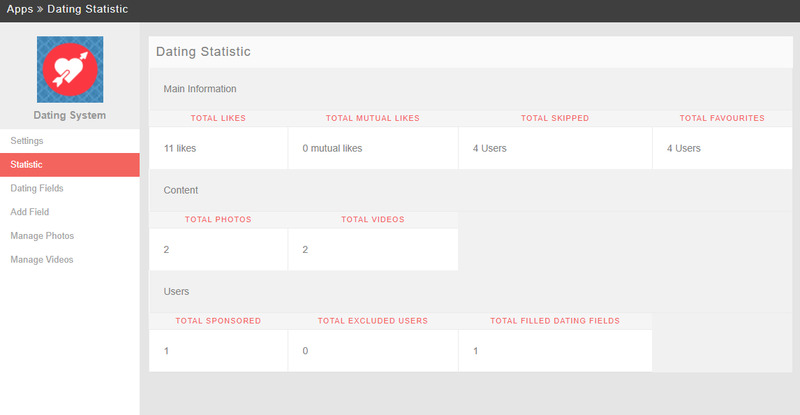 I like, Who likes me, Mutual likes, Already viewed special pages with great design. 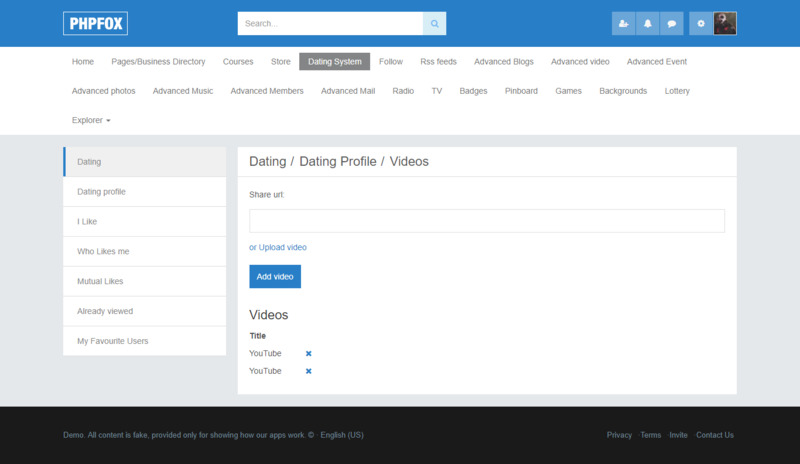 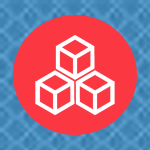 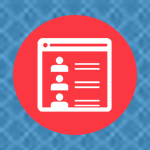 Upload mp4 video or Share popular video hosting urls.